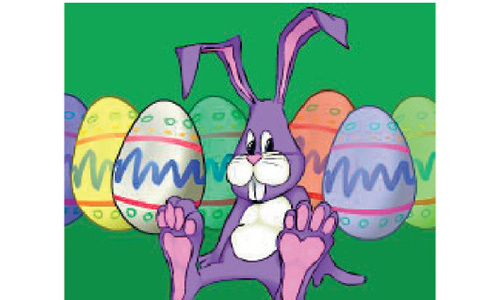 “These are familiar sentences I used when I taught two DISCIPLE classes while pastoring. I recall those 34 weeks of weekly Bible study, with 10 to 20 students, gathered together in the church classrooms, concentrating on the Bible study, listening, sharing, discussing, and praying,” wrote the Rev Dr Chong Chin Chung, Bishop-Elect and President of the Chinese Annual Conference (CAC), for the anniversary celebration of 25 years of DISCIPLE Bible Study in Singapore. 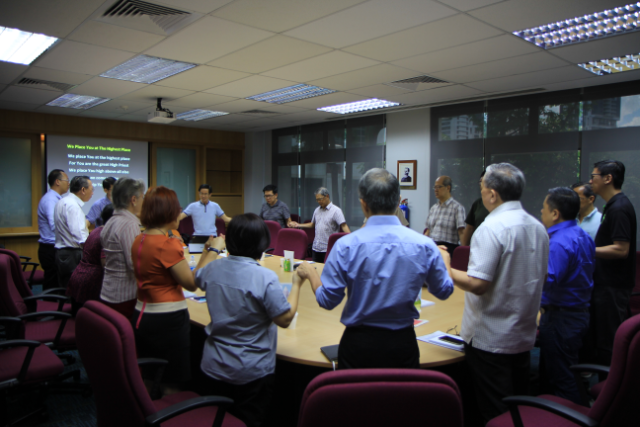 The Thanksgiving Service held at Covenant Community Methodist Church on 27 Aug 2016 saw a gathering of Methodists who had experienced God’s goodness through DISCIPLE Bible Study programme, which is designed to develop strong local churches through in-depth study of Scriptures, thereby strengthening believers’ faith and guiding them into service and ministry. “After nine months in Christian fellowship, we built deep relationships, so that even today, we still keep in touch by various means, and gather for fellowship, out of concern for one another’s life and spiritual wellbeing. 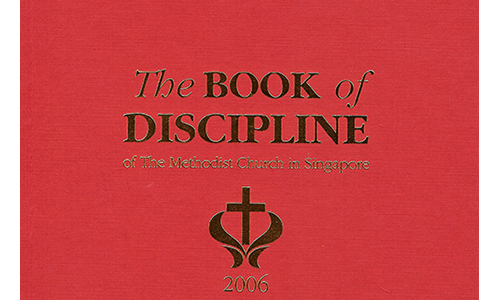 Thus, studying Becoming Disciples Through Bible Study (Red Book) tells us that DISCIPLE is not just about learning Bible knowledge in class, but also practising the life of a disciple, and in particular, being true witnesses for Christ in our daily living,” the Rev Dr Chong continued. Other testimonies were also shared at the thanksgiving service, by those whose lives had been transformed by DISCIPLE Bible Study. In addition, video greetings were brought from Bishop Richard Wilke, author of DISCIPLE, Mrs Wini Grizzle, the former chief trainer, and other guests. Disciple Agency (DA)’s ministry has also expanded beyond Singapore’s shores, with a new group of 44 trainers from East Malaysia, West Malaysia, Taiwan, Hong Kong and Australia. “The Bible study materials and methods promoted by DA go a long way in helping churches and groups to fulfil what Jesus commissioned us in Matthew 28:19. Make disciples as you go into all the nations of the world, teaching them what [Jesus has] taught you,” wrote Bishop Dr Wee Boon Hup. Bishop Emeritus Wong Kiam Thau pronounced the benediction, and guests adjourned for dinner fellowship at Methodist Girls’ School’s premises. 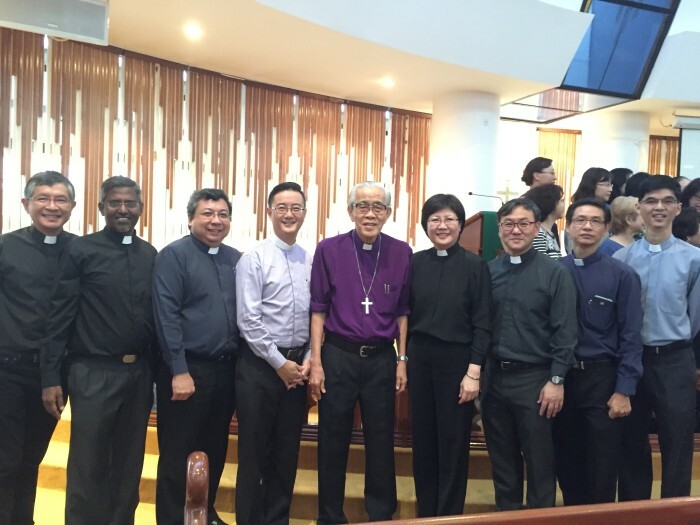 DA Exco (left to right) the Rev Ivan Tan, the Rev Isaac Raju, the Rev Kenneth Huang, the Rev David Gwee, Bishop Emeritus Wong Kiam Thau, the Rev Dr Niam Kai Huey, the Rev Dr Gregory Goh, the Rev Paul Thian and the Rev Chin Yan Chong. 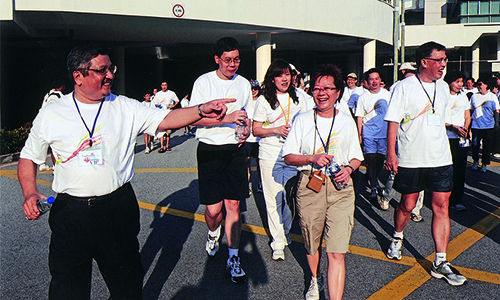 Photos courtesy of Covenant Community Methodist Church and Chng Siew Geok.